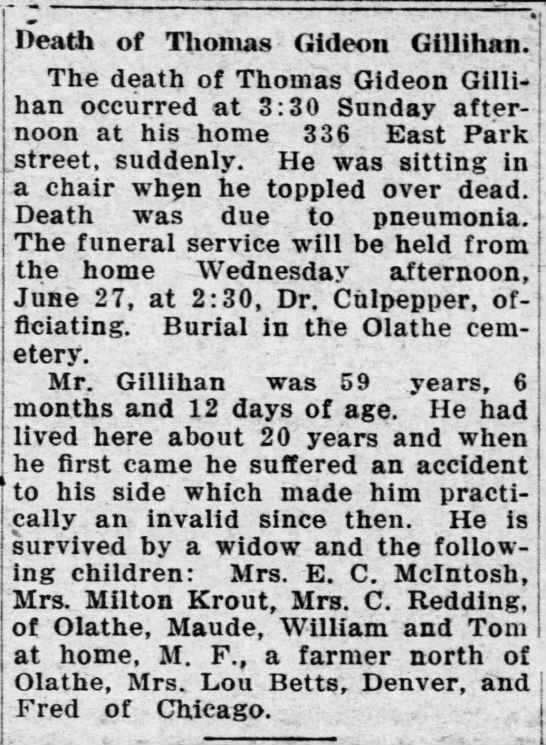 Death of Thomas Gideon Gillihan.
. The funeral service will be held from the home Wednesday afternoon, June 27, at 2:30, Dr. Culpepper, officiating. Burial in the Olathe cemetery. Mr. Gillihan was 59 years, 6 months and 12 days of age. He had lived here about 20 years and when he first came he suffered an accident to his side which made him practically an invalid since then. 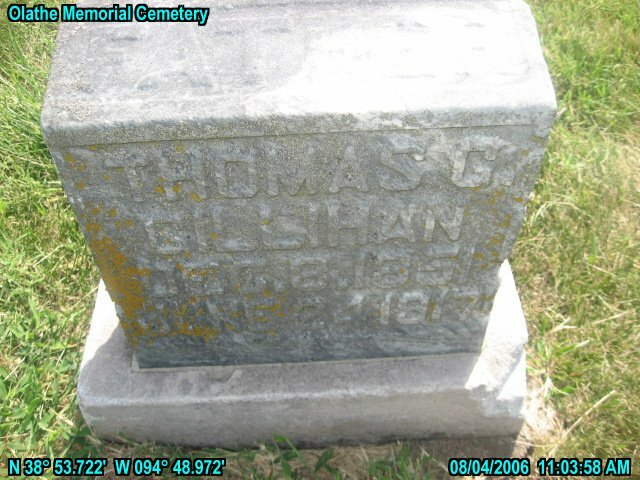 He is survived by a widow and the following children: Mrs. E. C. McIntosh, Mrs. Milton Krout, Mrs. C. Redding, of Olathe, Maude, William and Tom at home, M. F., a farmer north of Olathe, Mrs. Lou Betts, Denver, and Fred of Chicago. Please share your memories of Thomas Gideon.